RJ8 controls mold and mildew stains and wipes away soap scum in one easy step on tile and grout. 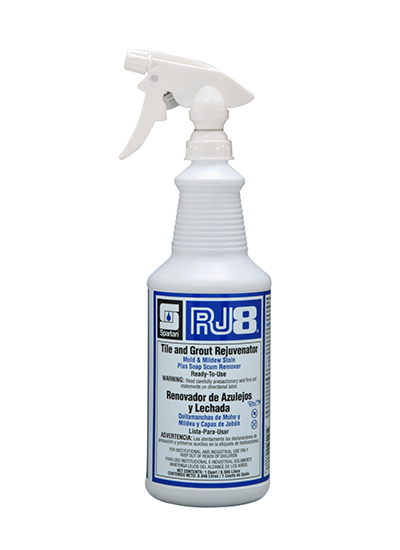 RJ8 cleans and deodorizes a variety of hard surfaces in a restroom including wall tiles, grout, bathtubs, fiberglass, shower doors, vinyl curtains and porcelain sinks. Instantly whitens and makes removing heavy soap scum, body oils, plus mold and mildew stains vanish.